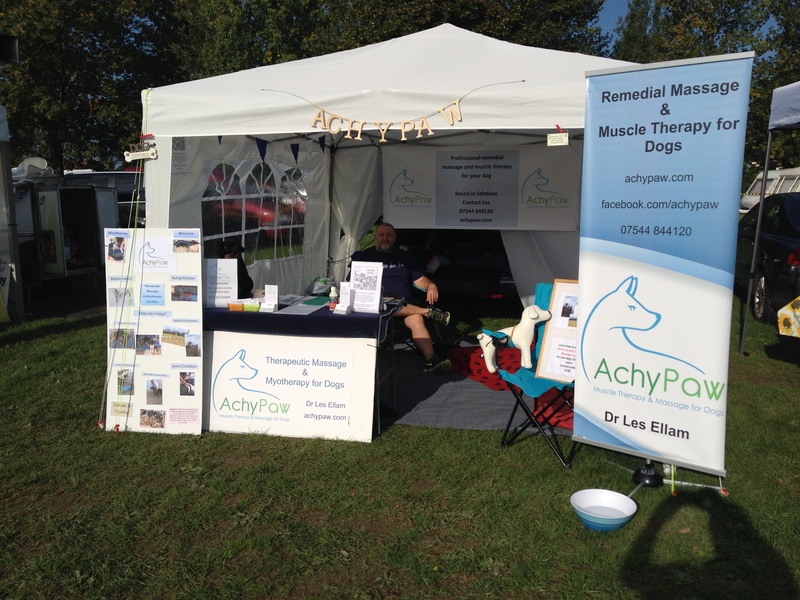 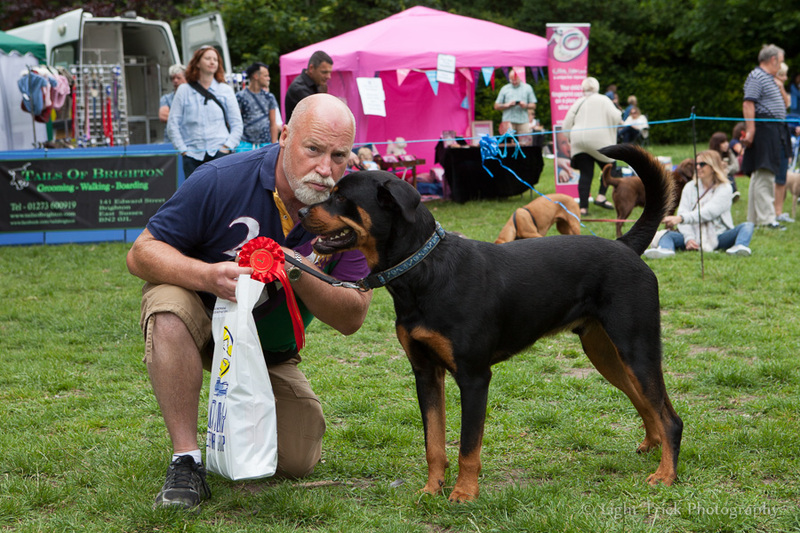 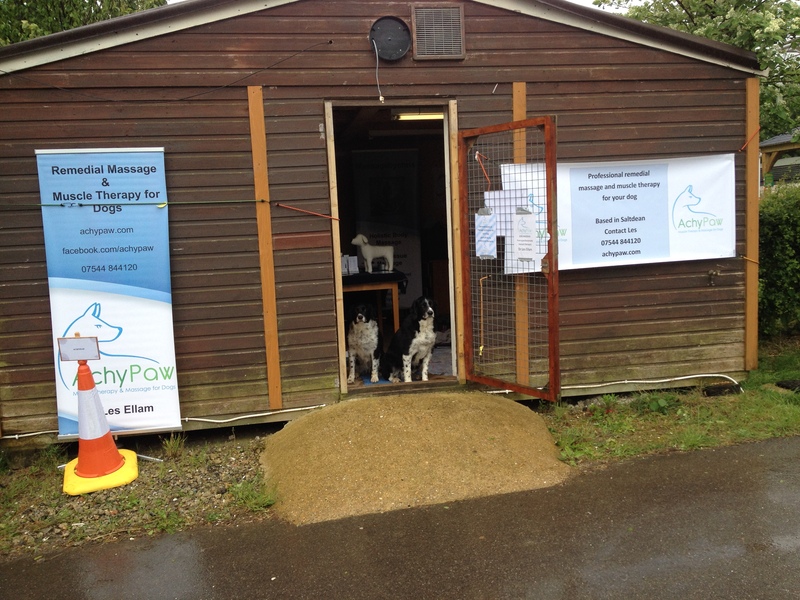 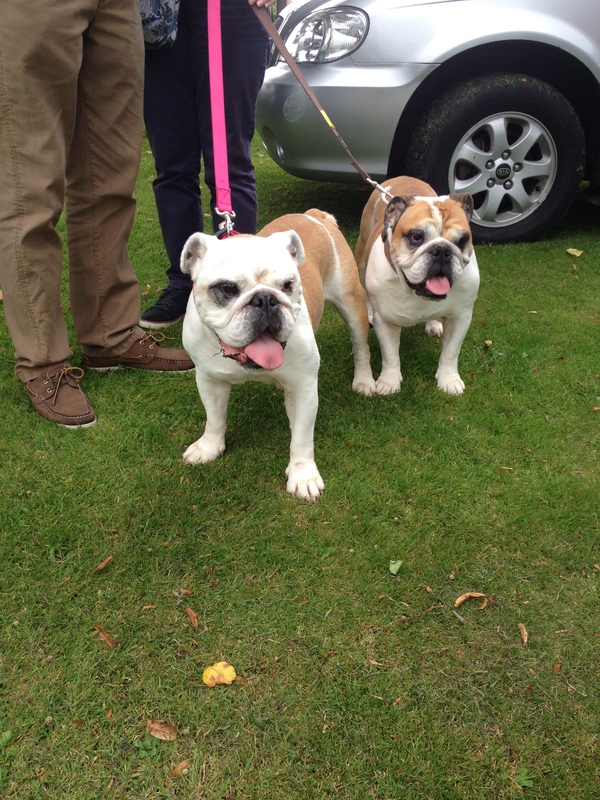 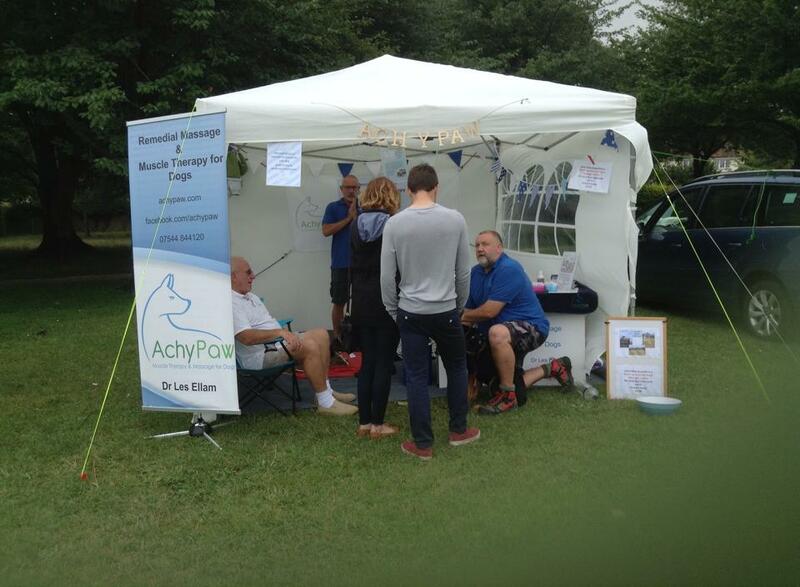 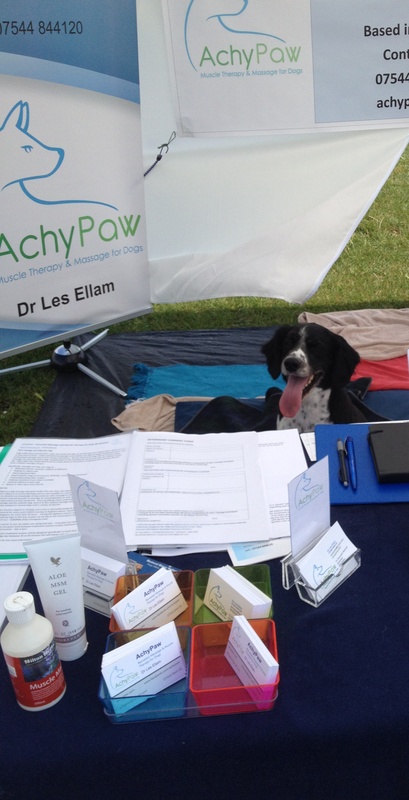 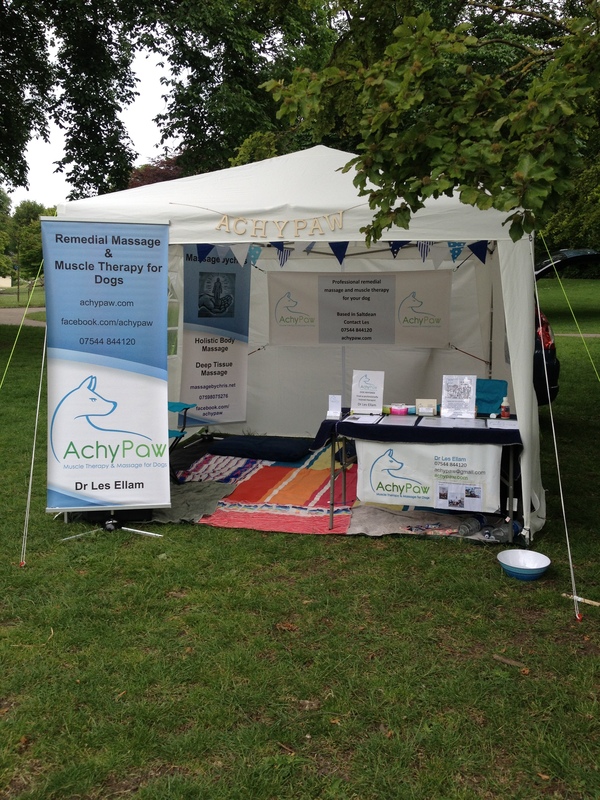 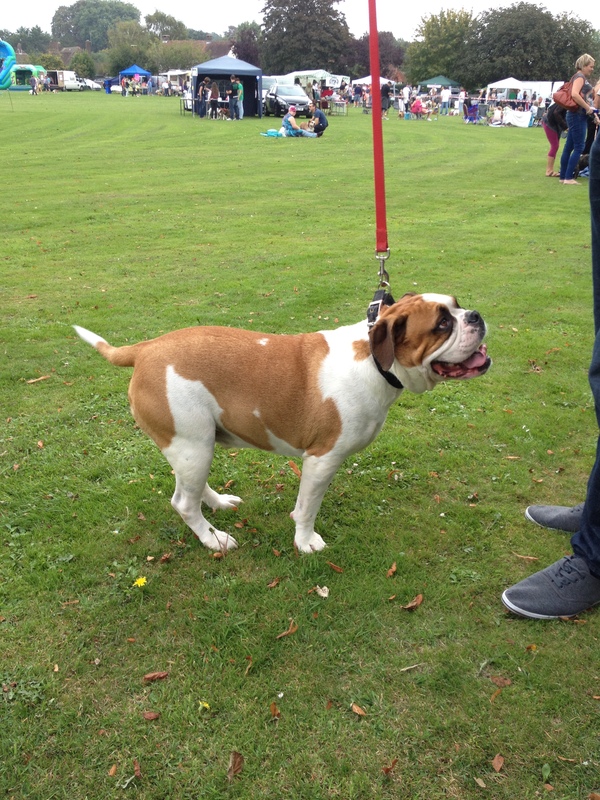 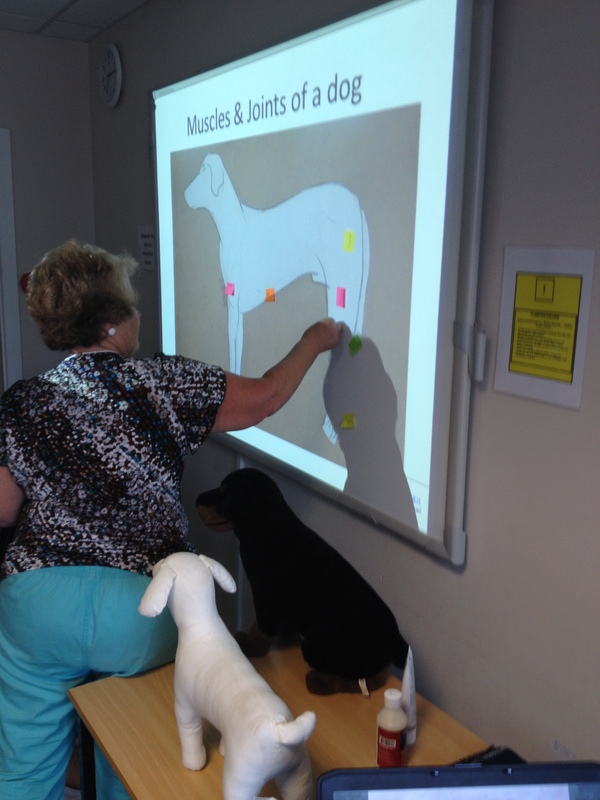 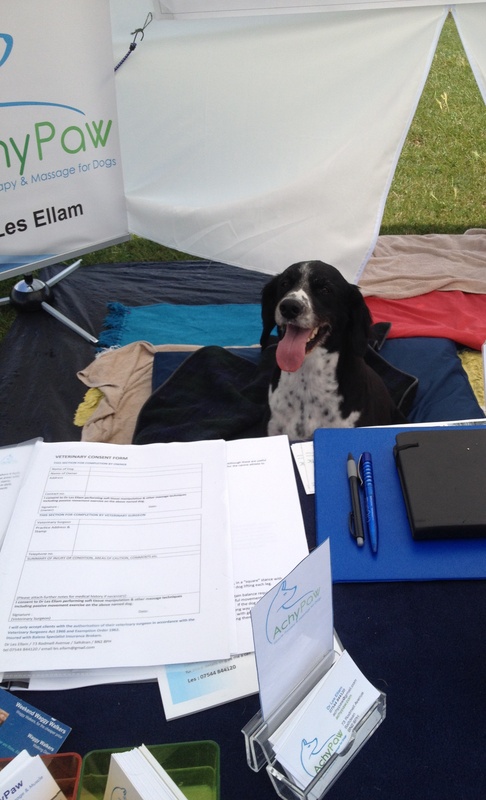 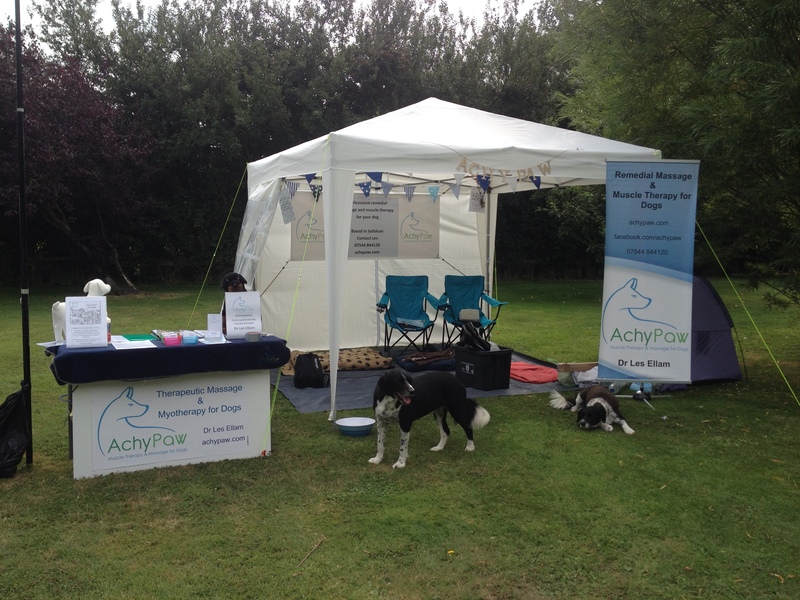 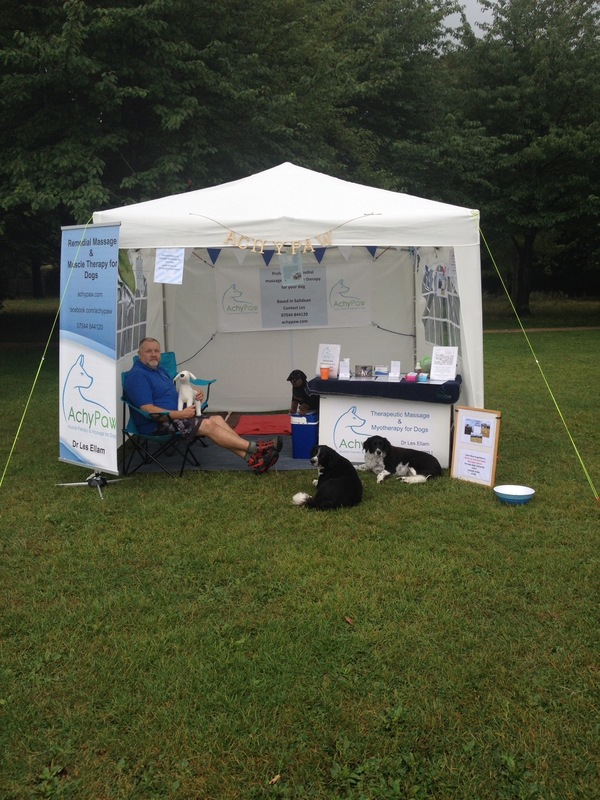 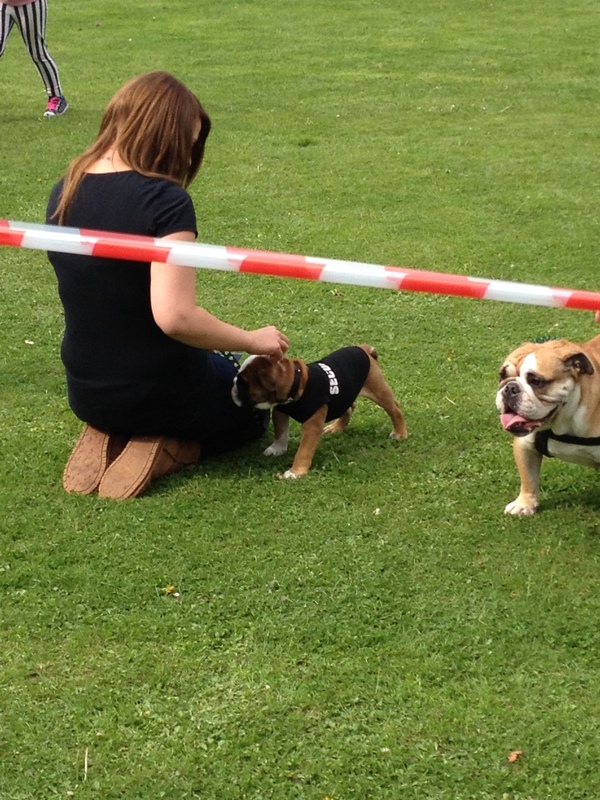 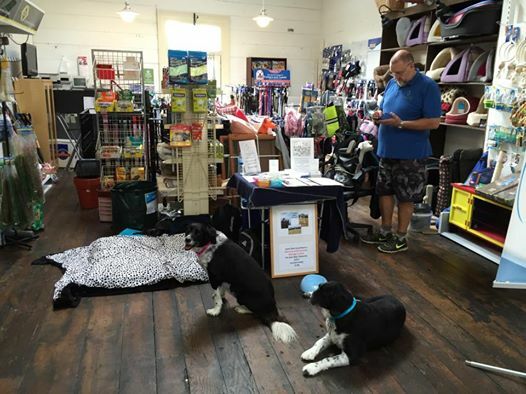 Sam, Sarah and the AchyPaw team attended a number of events in 2014 and delivered several training sessions. 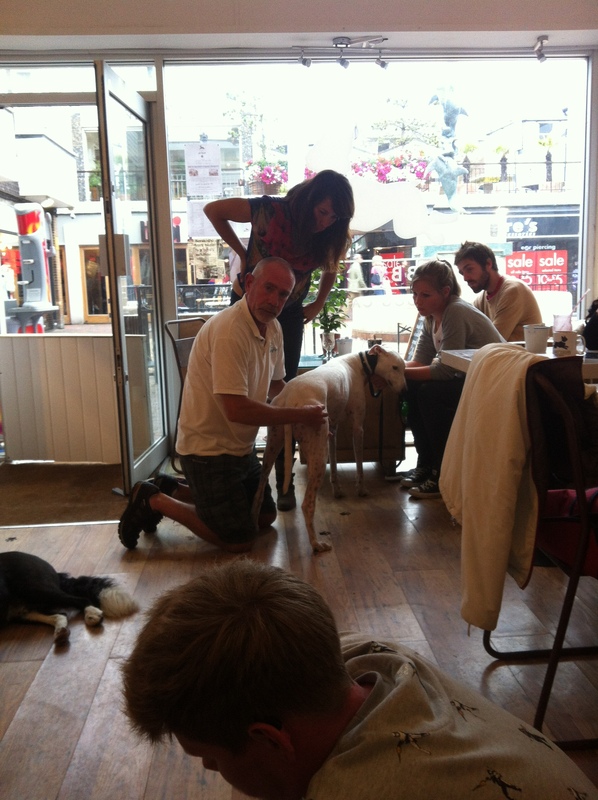 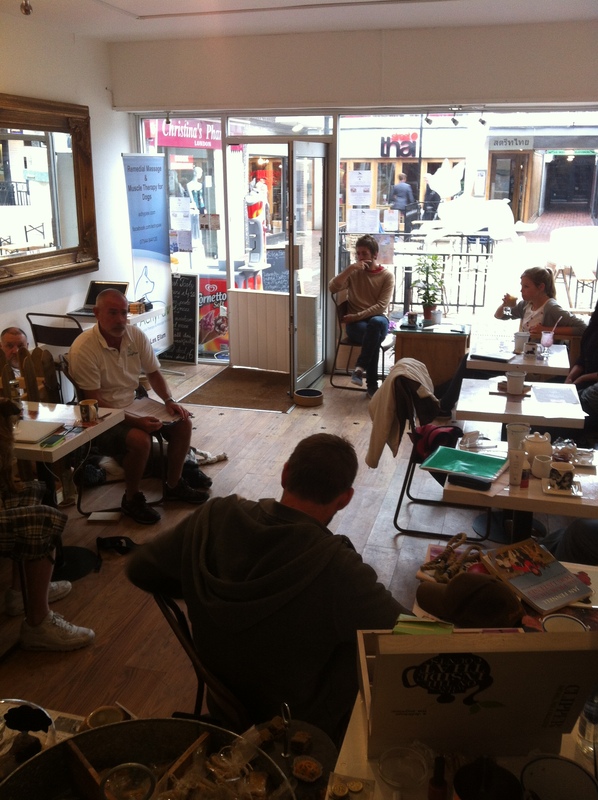 One such session was a taster event at Chubby Chops Dog Cafe for people who wanted to bring along their dogs and learn some techniques. 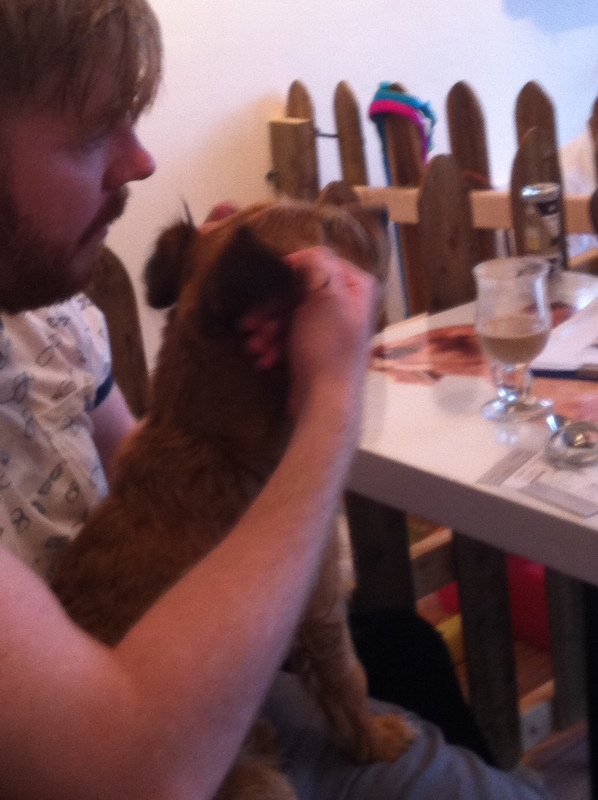 Some pictures are below. 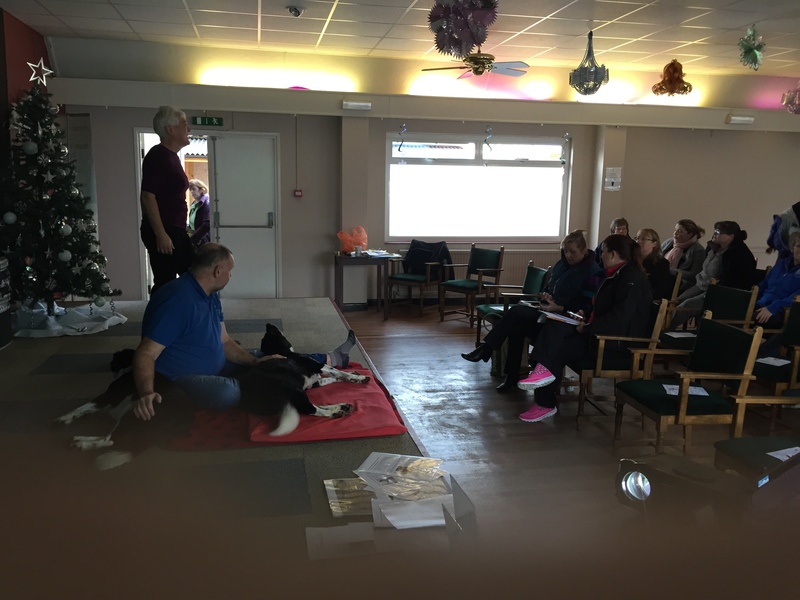 Pictures and details of a session we delivered for nine groomers at Pets2GoTo can be seen on our Facebook page (where we received lovely feedback). 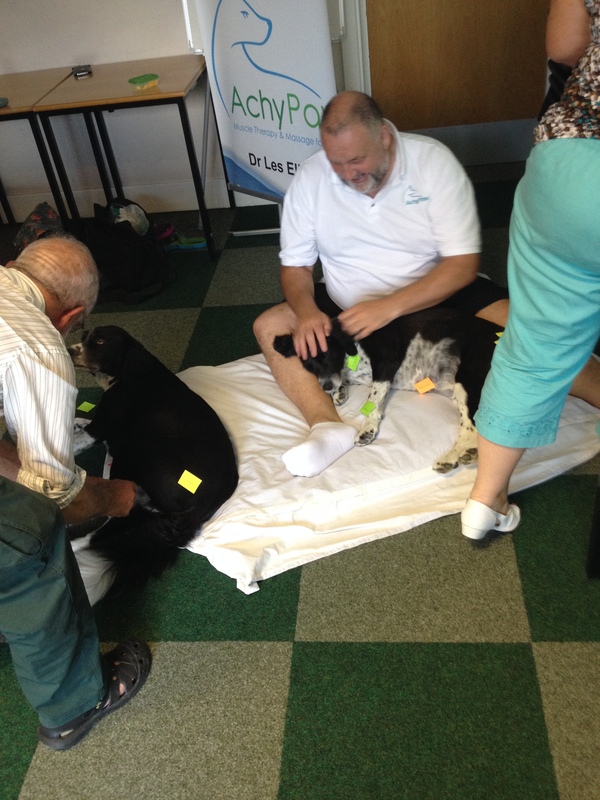 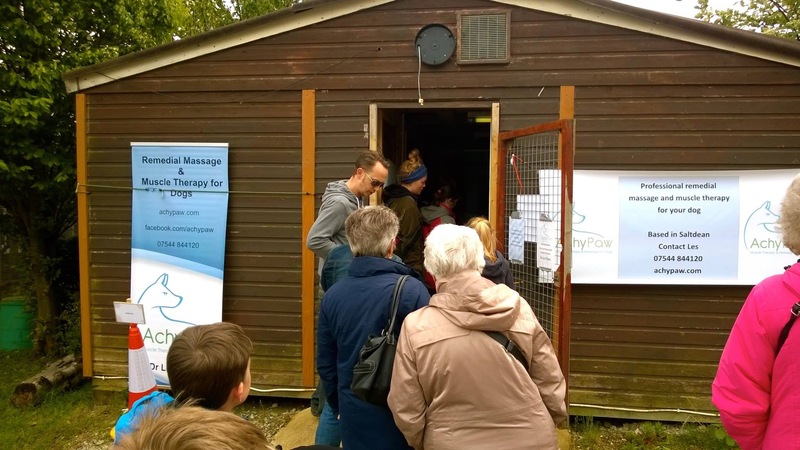 We also delivered a number of CPD training sessions for vets at the New Priory Surgery, Brighton (read about that here) and for St Francis Vets in Hove. 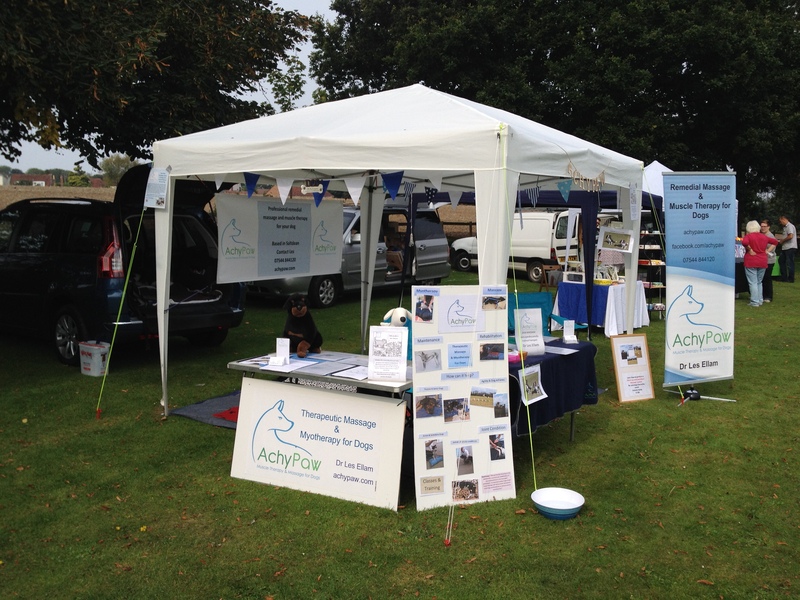 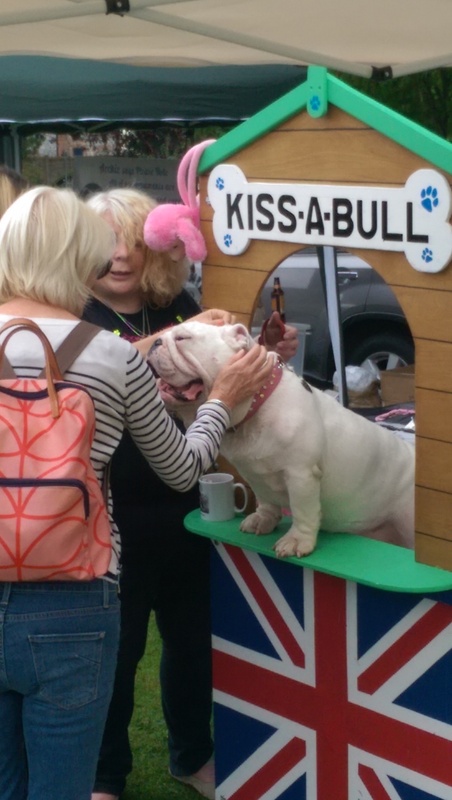 Below are a number of pictures from some of the shows and fairs we attended in 2014. 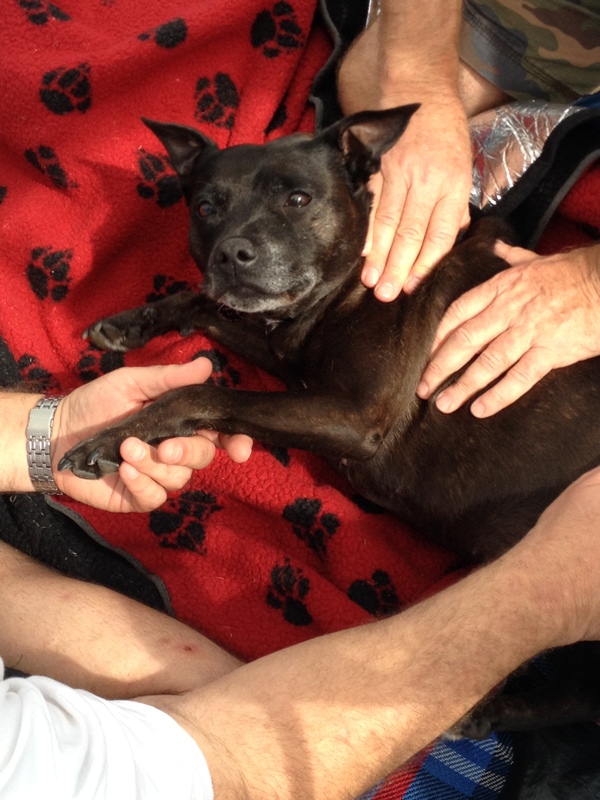 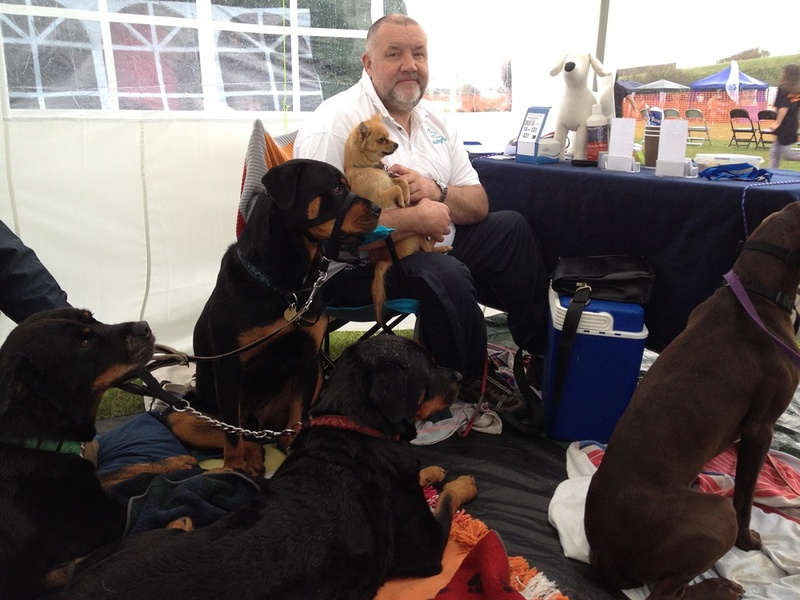 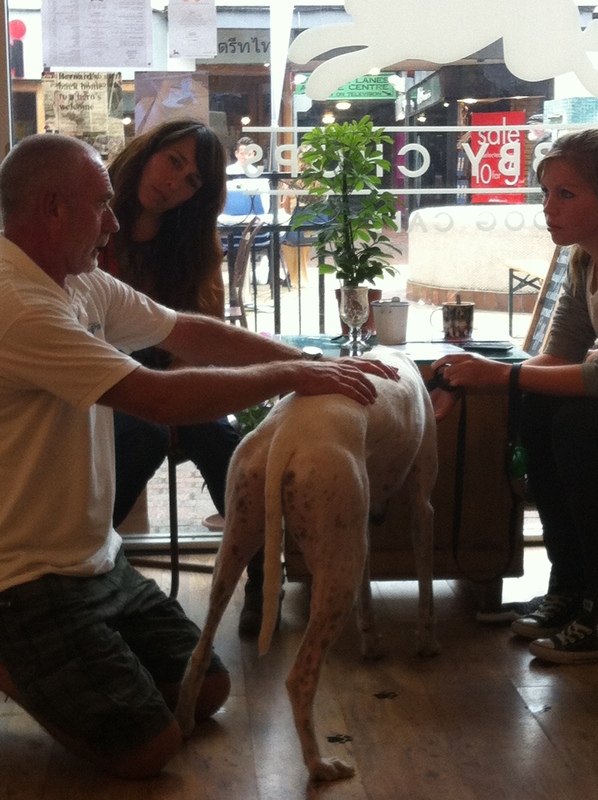 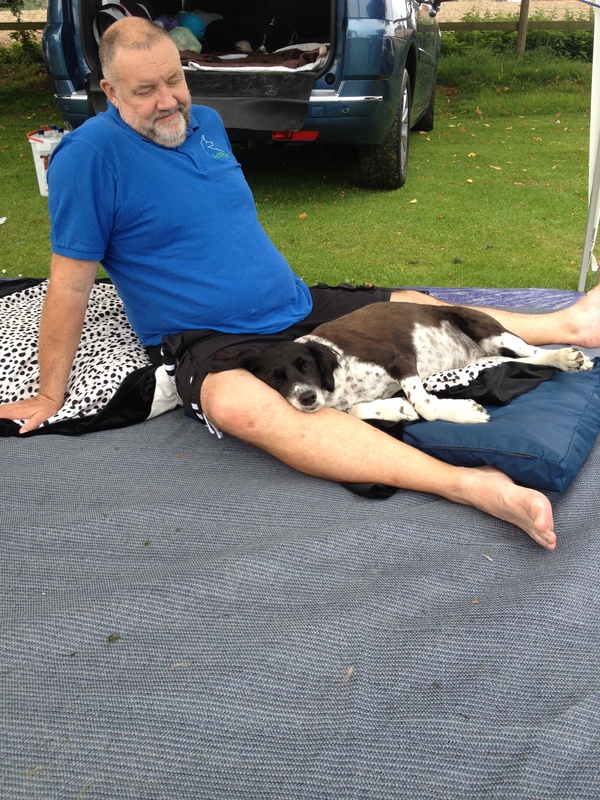 The adorable Feebee receiving massage from Les & Reiki from Chris at the Waifs & Strays Show, Seaford 2014. 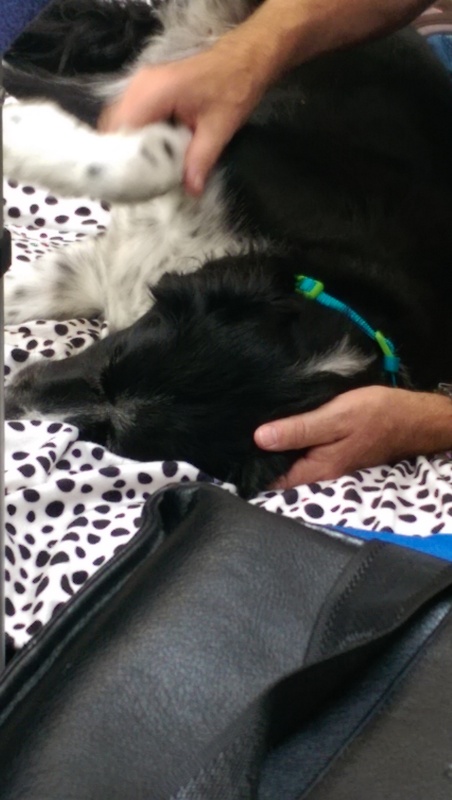 She is sooooo happy.